Here's another painting from my class at the Worcester Art Museum. 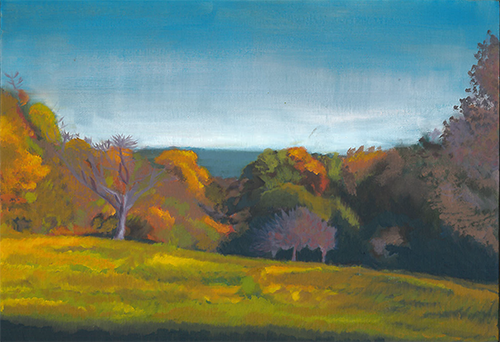 It is of a landscape at Mount Wachusett. I hope to have the next page done as soon as possible, but I have had a few comissions to work on this month. I will be going to table at The Steampunk Charity Bazaar in Boxborough this weekend. I have a costume I made for that event that I wore at Rhode Island Comic Con.